Forza Horizon 2 is a classic. Its beauty, fun, and excitement allow you to pour hours into its stunning incarnation of Southern Europe as you drive across the extravagant Italian coastline to the vineyards of France. With more than 200 exotic cars to drive and an unmissable open-world to soak in, there’s a lot of reasons to head back to Forza Horizon 2. It was also the first Forza title to ever feature Dynamic Weather complemented by a full day and night cycle. After revisiting Forza Horizon 2 with a friend in online freeroam last night, I was reminded as to why I fell in love with it when the game first released on Xbox One in 2014. It released towards the first-year anniversary of Microsoft’s newest console, and Forza Horizon 2 became the must-have exclusive of the system – showcasing both the graphical prowess and horsepower that’s inside the Xbox One. Forza Horizon 2 is almost four years old, but is still worth your time and attention. Forza Horizon 2 is a beautiful game and offers the best incarnation you’ll find of Southern Europe’s beauty and diversity. With intricate landscapes from rolling hillsides to rocky cliff-faces with stretches of natural countryside filled with winding driving roads and fields rich with foliage and trees, Forza Horizon 2 had it all – with the ability to explore it all off-road for the first time in the franchise’s history with cross-country events and pure fun rally action. After hundreds of hours and thousands of races, Forza Horizon 2 doesn’t become old, but after revisiting it last night on the Xbox One X hooked up to my 4K TV, one thing became obvious – and it’s that Forza Horizon 2 needs to be enhanced for the newer system. Whilst impressive in 2014, Forza Horizon 2 runs in a native 1080p resolution at 30fps. The assets, environments, and car models are of the highest quality in Forza Horizon 2 – but they lack that shine and crispness when compared to Forza Horizon 3, which runs in native 4K resolution on Microsoft’s latest console. 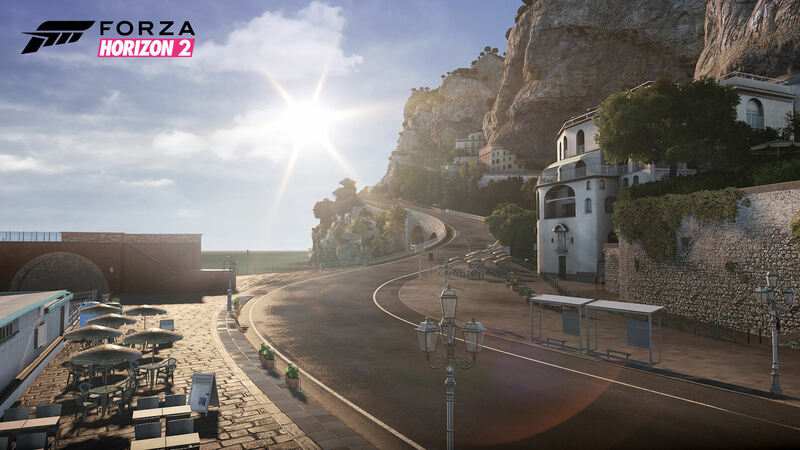 Southern Europe offered a beautiful location for Forza Horizon 2 with incredible roads. I’ve written about the Xbox One X Enhanced version of Forza Horizon 3 in great detail before. It’s a mighty impressive visual upgrade, as not only is there 4K resolution bump, but several improvements across the board that make it the ultimate 4K showcase in 2018. 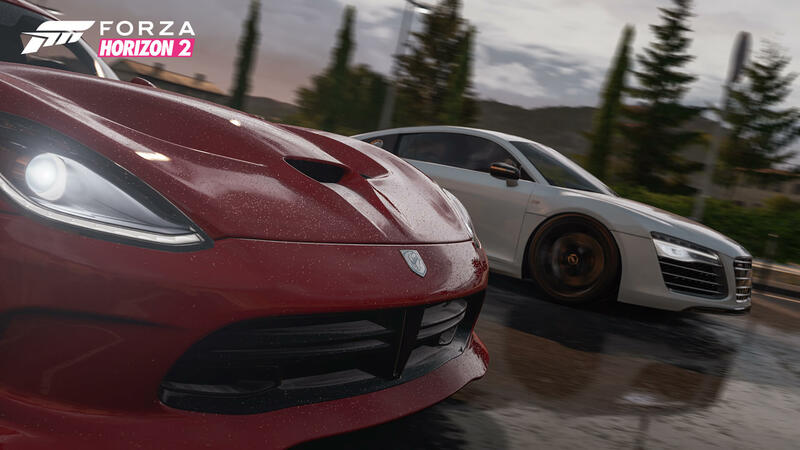 Developer Playground Games ensured Forza Horizon 3 took full advantage of the Xbox One X by not only increasing the quality of both car reflections and shadow resolutions, but also texture quality for road and terrain surfaces with improvements to draw distances and an increased level of detail. To cut-down on any jagged edges, the Xbox One X Enhanced version of Forza Horizon 3 also boasts an impressive 16x anisotropic filtering with 4X MSAA. There’s also an improved motion blur implementation to create an overall smoother gameplay experience. It’s a real treat and an unmissable experience for 4K TV owners with an Xbox One X console. Forza Horizon 3 takes full advantage of the Xbox One X and remains one of my favourite titles to enjoy on the system. However, that doesn’t mean I don’t enjoy returning to older Forza games – and Forza Horizon 2 is one of those I love to revisit. Forza Horizon 2's rain effects still hold up well in 2018, with detailed droplets and reflections. One of the things I immediately noticed when revisiting Forza Horizon 2 last night is the lower resolution. 1080p isn’t bad by any stretch of the imagination, but on a 4K display – a lot of upscaling is needed to fill in those pixels. It’s a four times resolution jump to 2160p, and when you take Forza Horizon 2’s 1080p output on a 4K display, you can immediately notice the upscaling. The most obvious problem here is the jaggedness around cars, specifically the vehicle you’re driving. At high speeds, shimmering and rough edges become increasingly noticeable – and this would be solved with a 4K output and the multi-sampling solution used in Forza Horizon 3. Another downside to the 1080p native resolution is a reduction in overall sharpness and crispness, as well as visual fidelity. It’s like taking a layer of detail off the final visual output and it just results in a lack of overall refinement. Another issue comes in the form of visual pop-in. This was also a problem with Forza Horizon 3 on the Xbox One, but it was solved on the Xbox One X thanks to the increased draw distance and overall render quality. It meant environments felt more alive and realistic when enjoyed on the newer system, but unfortunately, Forza Horizon 2 suffers from the drawbacks of not being enhanced from the Xbox One X. 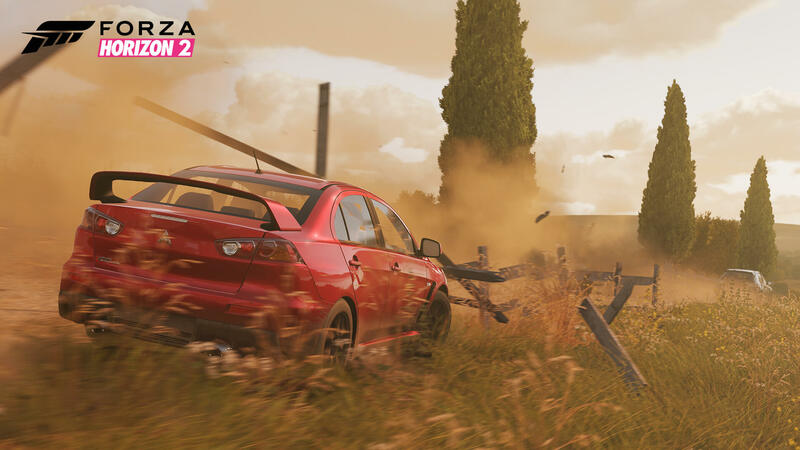 As Forza Horizon 2 transitions to higher quality assets, foliage pop-in is noticeably late. 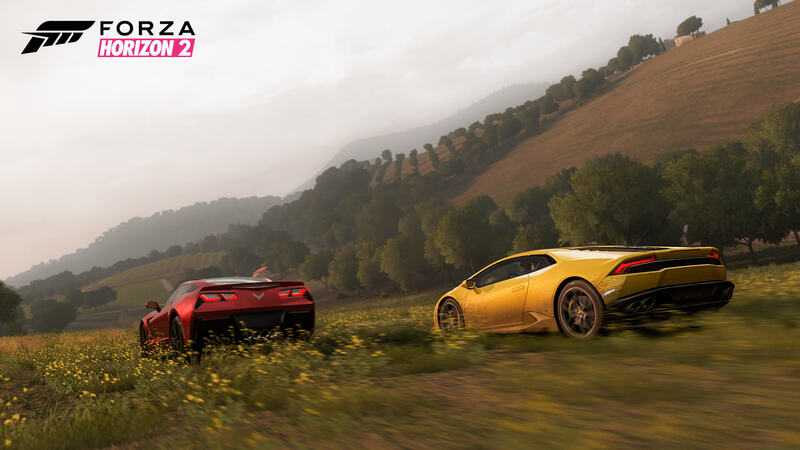 With Forza Horizon 2’s location set in Southern Europe, there’s a lot of trees and forestry, cliffs adorned with houses, and various towns and villages. Trees and buildings tend to have the most noticeable pop-in as the game swaps the assets for higher-quality models as you approach them. 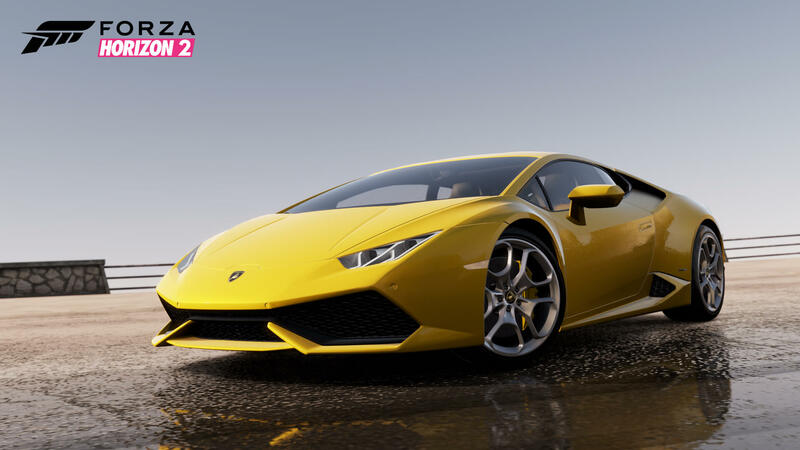 It’s extremely noticeable when driving at high speeds – which you will be, it’s Forza Horizon 2 at the end of the day. Combined with the overall jaggedness of Forza Horizon 2’s assets when displayed in their current form, it results in something that feels like an unpolished visual experience. Of course, the issue comes down to the fact that Forza Horizon 2 was developed and released years before the announcement of Project Scorpio – the codename given to the Xbox One X when first announced at E3 2016. 4K was a technology considered to be far off at the time as the Xbox One and PlayStation 4 systems focused exclusively on 1080p. Forza Horizon 2 was built with the Xbox One and 1080p TV owners in mind. The reflectiveness of wet enviornments in Forza Horizon 2 results in a visual showpiece. With a 1.23 Teraflop GPU inside the Xbox One with 8GB of DDR3 RAM (in comparison to the 6 Teraflop GPU and 12GB GDDR5 RAM inside the Xbox One X), it meant Forza Horizon 2 was a miracle for its time – and it showed not only the optimization of the ForzaTech engine built for Xbox One launch title Forza Motorsport 5, but also its overall compatibility and feature-set. 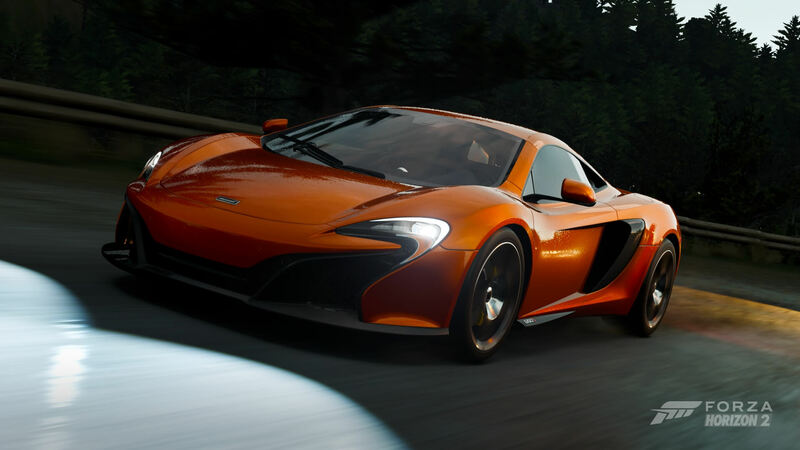 The engine co-developed by Turn 10 Studios and Playground Games for Forza Motorsport 5 was taken to the open-world Forza Horizon series with new features never-before-seen in the franchise, such as dynamic weather effects. Despite Forza Horizon 2’s technical shortcomings in 2018, it was a real visual showpiece of 2014 and the best-looking title we had seen on the Xbox One for its time. Obviously, Forza Horizon 3 and Forza Motorsport 7 have since surpassed it – even on the base hardware – but Forza Horizon 2 still holds up extremely well. 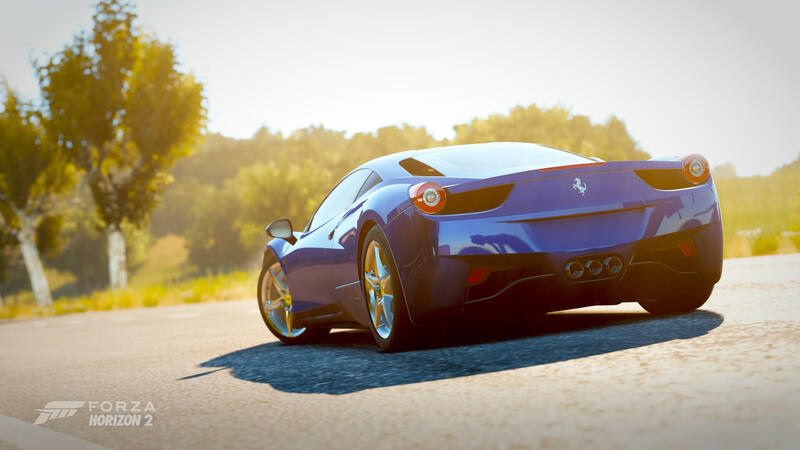 However, it could hold up even better if an Xbox One X Enhanced patch was deployed for it with a similar feature-set to Forza Horizon 3 – native 4K resolution, enhanced draw distances, improved motion blur, and an overall increase in texture quality and anisotropic filtering would benefit Forza Horizon 2 immensely. Because Forza Horizon 2 never released on Windows 10, there’s no way to enjoy it at 4K resolution – but an Xbox One X Enhanced release would change that. 4K would allow Forza Horizon 2 to absolutely shine, especially like in these screenshots. It took Playground Games less than a day to get Forza Horizon 3 up and running in native 4K resolution on the Xbox One X when they first received their development kit for the system and it had plenty of spare headroom on both the CPU and GPU inside the hardware. With this in mind, I don’t think it’d be too much of a challenge at all to bring up Forza Horizon 2 in 4K resolution. If anything, it could be handled by a smaller team over the course of a few weeks or months, with the patch introducing the enhanced resolution with various graphical upgrades and tweaks to make it a real stunner on a 4K TV. Even the original Forza Horizon runs in native 4K resolution on Xbox One X. The Xbox 360 version of the game, played using the backwards compatible emulation feature built into Xbox One shines with its upgraded resolution and enhanced texture fileting. This version ran in 720p on the Xbox 360, and despite using assets built with the older hardware in-mind, Colorado shines in 4K on the Xbox One X and it holds up incredibly well with its 9x resolution bump. This work was all done by Microsoft’s Backwards Compatibility team. Could you imagine if the same was done for the Xbox One version of Forza Horizon 2 with its high-quality assets and distinct European location? It would be a real showpiece for 4K TV owners alongside Forza Horizon 3. 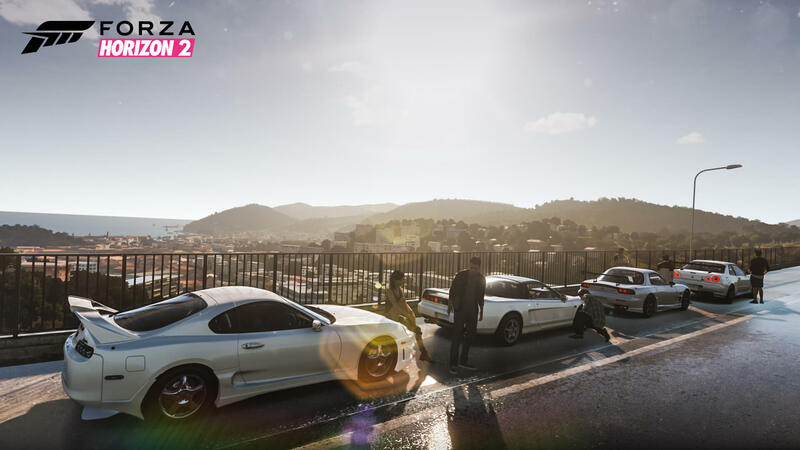 Car meets with friends and road trips are still an unmissable feat of Forza Horizon 2. There were many aspects to Forza Horizon 2 that pleasantly surprised me when revisiting it on Xbox One X. The environments and surrounding scenery remains awe-inspiring to the eyes and a haven for photographers. Whilst a 4K Photo Mode would be a treat in Forza Horizon 2, there’s still plenty of room for some incredible shots here in 1080p. The European countryside feels familiar, yet peaceful and authentic. The skies above remain beautiful and rich, full of colour, and realistic. Foliage and crops densely litter the fields and farmlands, cobblestones are laid across old roads to create unique driving surfaces, whilst buildings, trees, and other objects spanning the environment can be seen for miles around. 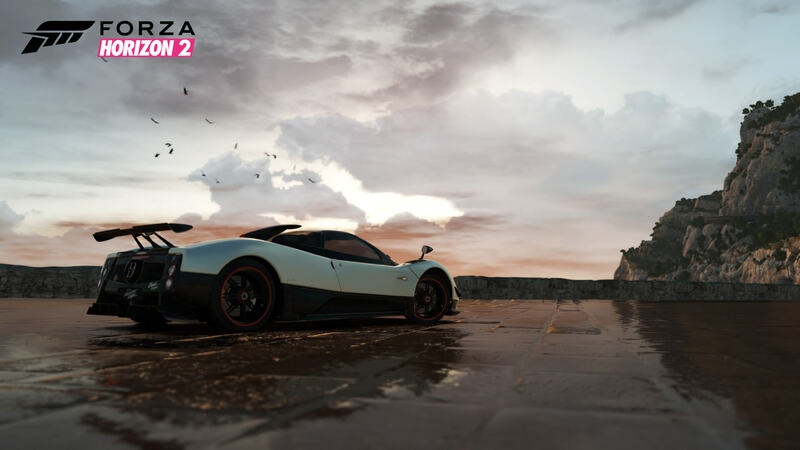 These are complimented by the beautiful dynamic rain effects featured in Forza Horizon 2, including dramatic thunderstorms – creating a wet, but reflective environment, and a vastly different atmosphere as a result. It’s truly spectacular, and when it’s combined with the detail-rich foliage found in cross-country races and off-road environments – especially those of the Storm Island expansion, the result is wonderful. Overall shadow quality and reflection detail isn't on par with Forza Horizon 3 on Xbox One X.
Forza Horizon 2 also launched on Xbox 360, but this version was developed by Sumo Digital, and well to be frankly honest, it doesn’t hold up to the superior Xbox One version at all due to its flat environments, lower quality texture assets and car models, reduced feature-set, and of course, the lack of dynamic weather features. 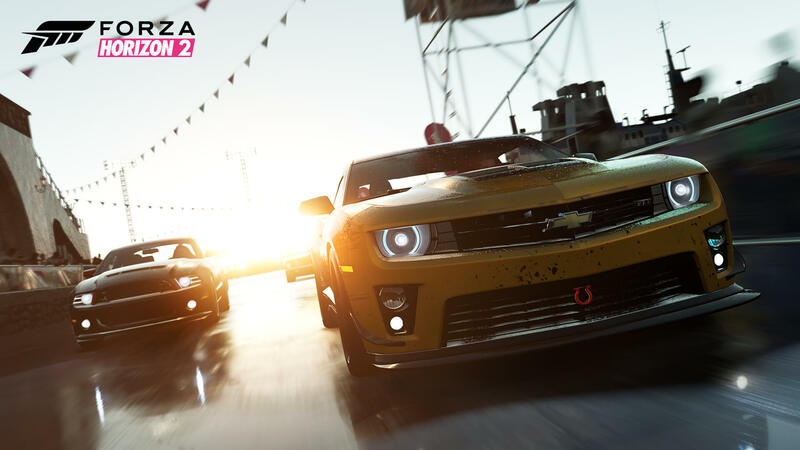 Given the hardware, it was a good effort – but if you’ve only experienced Forza Horizon 2 on the Xbox 360, then you without a doubt need to experience the masterpiece that is the Xbox One version developed by Playground Games. It’s brilliant. Forza Horizon 2 might not have HDR like the more recent entries in the franchise, but it sure does look like a game that’s equipped to output with High Dynamic Range. For those unaware, HDR is a modern display technology used to create more luminous, realistic colours with deeper blacks and an increased level of brightness. Photo Mode in Forza Horizon 2 still results in some stunning shots, even in 1080p HD. Rich colours and beautiful environments are always dominant in Forza Horizon 2 – and there’s so many incredible photography moments. 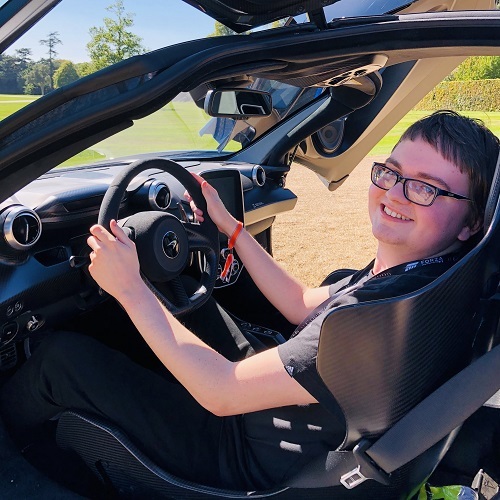 There’s nothing like cruising through what are some of the best driving roads in the Forza Horizon series with a friend in a Ferrari and Lamborghini. The 458 Italia and Huracán being excellent choices here, but of course, Forza Horizon 2 is full of exotic and expensive supercars, so you’ll hardly go wrong regardless of what you choose. One little quirk I found amusing when revisiting Forza Horizon 2 with a friend was the fact I always loaded quicker into freeroam and events than him – by multiple seconds – because I was on Xbox One X and he was the base Xbox One console. That’s the faster custom-based Xbox One X CPU coming into action there. It’s worth noting that the Xbox One X does bring subtle improvements to Forza Horizon 2 on a default system level, including overall faster loading times and improved texture filtering. Forza Horizon 2 is still amazing, but an Xbox One X Enhanced version would be even better. I love Forza Horizon 2. It’s the reason I desperately want to see it enhanced for the Xbox One X. Imagine driving through the coastline of Southern Europe with your friends in Italian beasts like Ferraris and Lamborghinis from Castelletto to Nice before heading towards Sisteron and Saint-Martin and then back to San Giovanni and Montellino. Forza Horizon 2 always had the best Sunday drives and cruising across its landscape is still a fun and relaxing experience. I was also a fan of the shipping docks, industrial zone, and Aérodrome in Forza Horizon 2 – not to mention the fun castles and abbeys you could drive around and explore. If you make the journey back to Southern Europe today, you won’t be disappointed. But if Playground Games enhances Forza Horizon 2 for the Xbox One X, it’ll be a pure visual spectacle and yet another 4K showcase alongside Forza Horizon 3. This series is the triumph in open-world racing, and there’s always a reason to revisit its distinct, yet iconic locations of Colorado, Southern Europe, and Australia. They’re all unique, special, and beautiful in their own way. No matter which of them is your favourite, there’s something to appreciate about them all – and hopefully soon, they’ll all have the visual fidelity and rich detail offered by native 4K resolution on Xbox One X.